This year’s Lunar New Year Festival comes relatively early by starting in mid-January. Normally, the Lunar festival arrives in February or March. 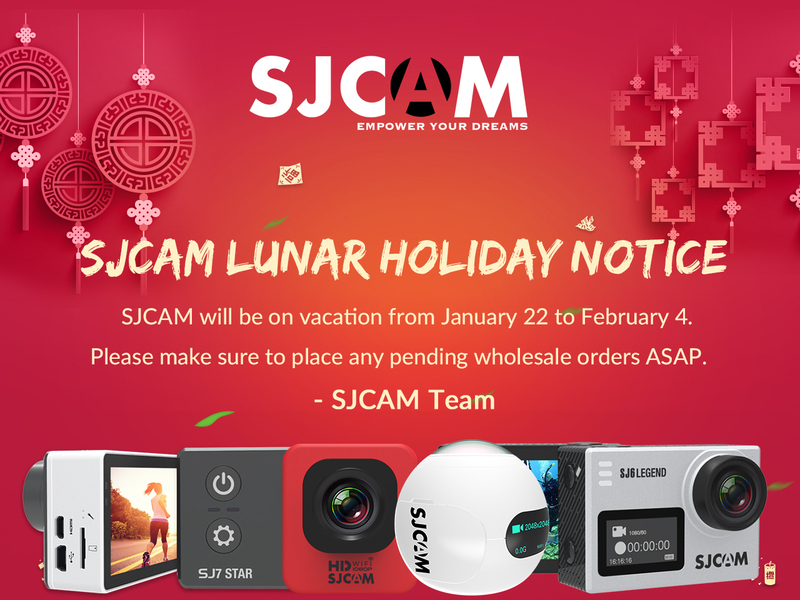 SJCAM will be celebrating the Lunar Festival from January 22nd to February 4th 2017. All factories and shipping companies will be closed in China during this period. This means that larger if you have a larger wholesale order, you will need to place it 7-10 days before the January 22nd closing date (before January 12). Our retail shop has already stopped accepting free shipping order and all orders will be shipped using DHL. The deadline for placing online orders is January 10. In 2017 SJCAM will focus on supporting our local resellers and distributors. Feel free to contact your local SJCAM distributor directly if you would like to order small wholesale or retail orders. SJCAM Wishes you a Happy New Year!